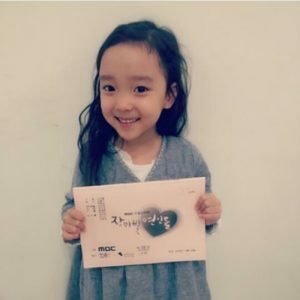 Lee Go-eun is a South Korea child actress who was born on November 2009. She debuted as a child actress 4 years ago when she was 5 years old under SidusHQ in drama called Gap-dong. Before her appearance on the drama, Lee was originally a child model. She has even appeared in some commercial films in 2011 and 2012. Do you want to know more about this lovable child actress? Lee Go-eun has starred in 8 dramas since her debut in 2014. In 2014, she appeared in 5 dramas, Gap-dong, Angel Eyes, Three Days, Make Your Wish and Misaeng. Her first drama was Gap-dong, that was airing on tvN. She played young Yang Seon-joo in the drama. Lee appeared on the popular drama Misaeng. She played the role of Park So-mi. The drama won Best Miniseries at the 10th Seoul International Drama Awards, and also won as Best Content, Drama at tvN10 Awards. In 2015, she appeared on two dramas. She played Park Cho-rong on the MBC drama Rosy Lovers. A few months later, she appeared as Park Sae-rom on the MBC drama The Dearest Lady. Lee’s latest drama was Secret Mother that was airing on SBS. She played Lee Chae-rin. Secret Mother is the story of a surrogate mother, who enters the home of the woman holding the secret to her child’s death. Aside from dramas, Lee has also starred in movies. Lee has starred in two movies. In her debut days, she appeared in a movie called Obsessed. A year later, she played young Hye-jung in Alice: Boy from Wonderland. Lee Go-eun started her career as a model for commercial films. 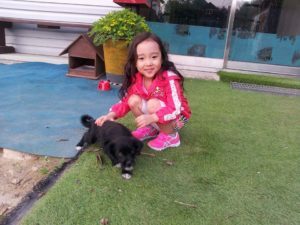 Since she was 2 years old, she has appeared on baby league (English teaching website) CFs. In 2012, she was a model for Samsung Smart Camera, Cheong Jeong-won’s baby food, Hurom, and LG Electronics. Lee Go-eun started her career as a child model. She won The 8th Asia Model – Kids Model in 2013. Did BLACKPINK’s Ji-soo Get Plastic Surgery? Here Are the Facts!